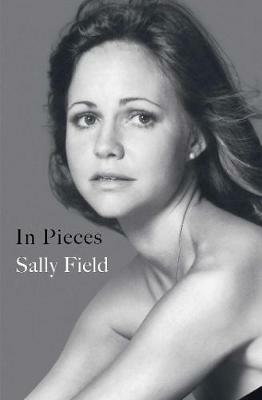 Sally Field is one of the most celebrated, beloved and enduring actors of our time, and now she tells her story for the first time in this intimate and haunting literary memoir. In her own words, she writes about a challenging and lonely childhood, the craft that helped her find her voice, and a powerful emotional legacy that shaped her journey as a daughter and a mother. Sally Field has an infectious charm that has captivated audiences for more than five decades, beginning with her first television role at the age of 17. From Gidget's sweet-faced `girl next door' to the dazzling complexity of Sybil to the Academy Award-winning ferocity and depth of her role in Norma Rae and Mary Todd Lincoln, Field has stunned audiences time and time again with her artistic range and emotional acuity. Yet there is one character who always remained hidden: the shy and anxious little girl within. With raw honesty and the fresh, pitch-perfect prose of a natural-born writer, and with all the humility and authenticity her fans have come to expect, Field brings readers behind the scenes for not only the highs and lows of her star-studded early career in Hollywood, but deep into the truth of her lifelong relationships including, most importantly, her complicated love for her own mother. Powerful and unforgettable, In Pieces is an inspiring and important account of life as a woman in the second half of the twentieth century. Sally Field is a two-time Academy Award and three-time Emmy Award-winning actor who has portrayed dozens of iconic roles on both the large and small screens. In 2012 she was inducted into the American Academy of Arts and Sciences, and in 2015 she was honoured by President Obama with the National Medal of Arts. She has served on the Board of Directors of Vital Voices since 2002 and also served on the Board of The Sundance Institute from 1994 to 2010. She has three sons and five grandchildren.